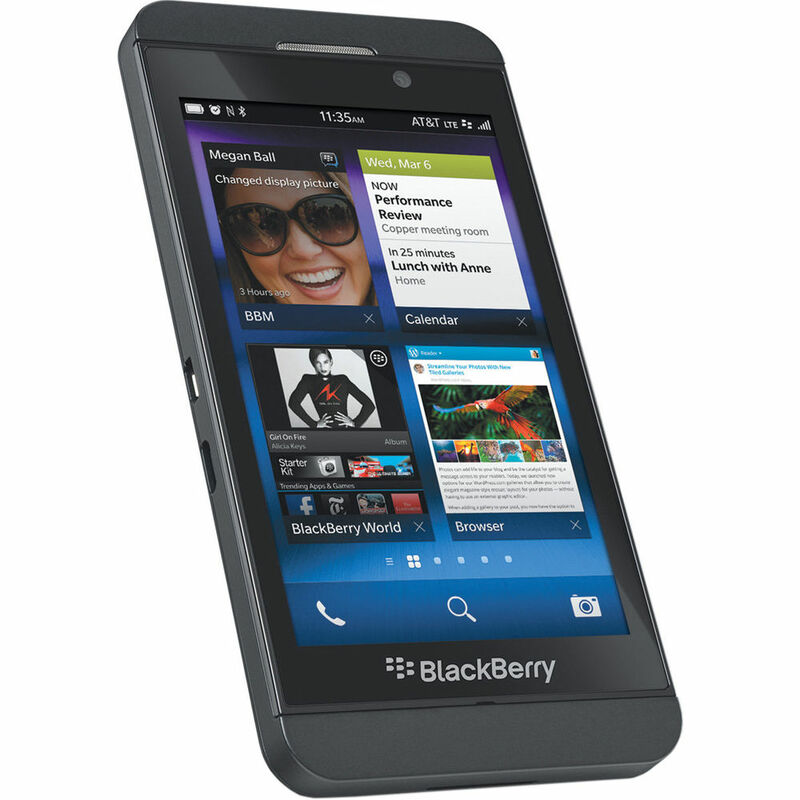 The all new BlackBerry Z10 is a class apart from other mobiles. It has an Exclusive built with updated features and technology. 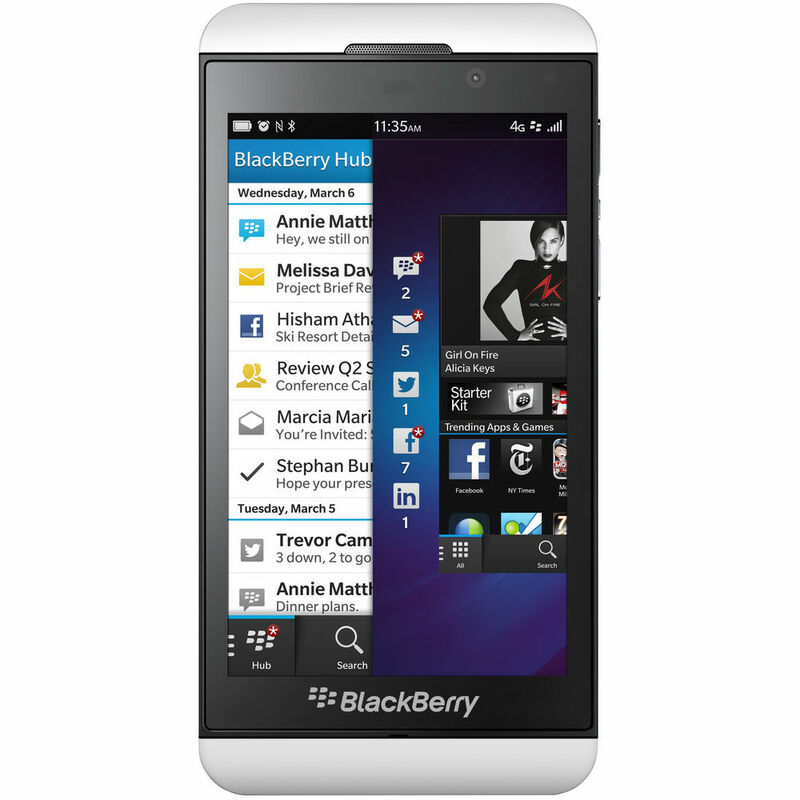 The BlackBerry Z10 Price is pocket friendly and gives you a new experience all together. 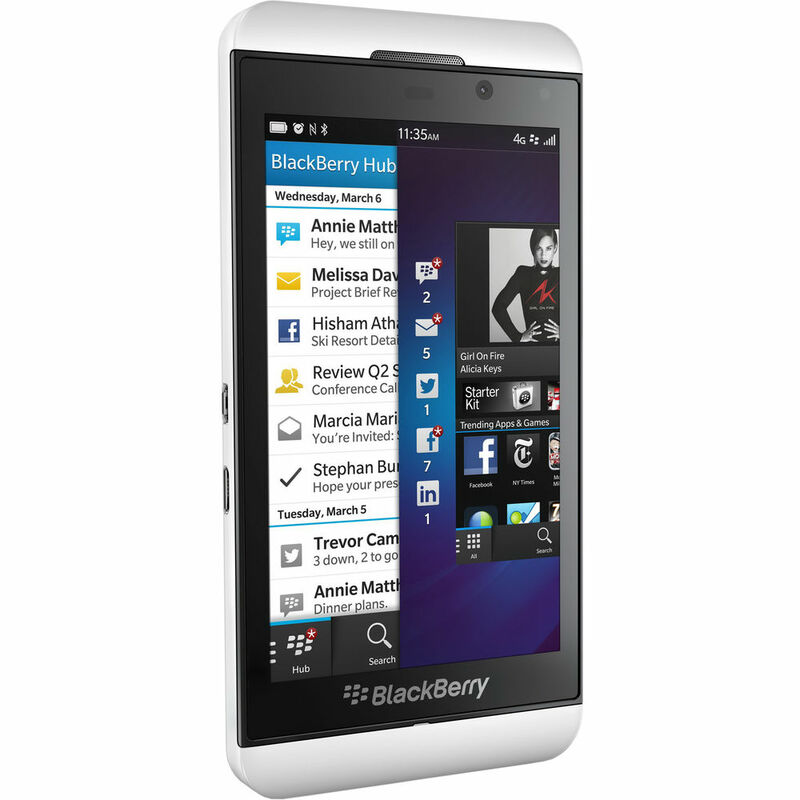 See the world coming alive in stunning details on the all-touch BlackBerry Z10 features a 4.2 Touch Screen. This new thin screen design gives a resolution of 768x1280 pixels and 365 ppi display. So no matter what you are viewing, you will enjoy a highly responsive and better display quality all the time. This time BlackBerry has initiated a new way to use this new and smart phone. It allows the features and apps to run at the same time without any interruption. 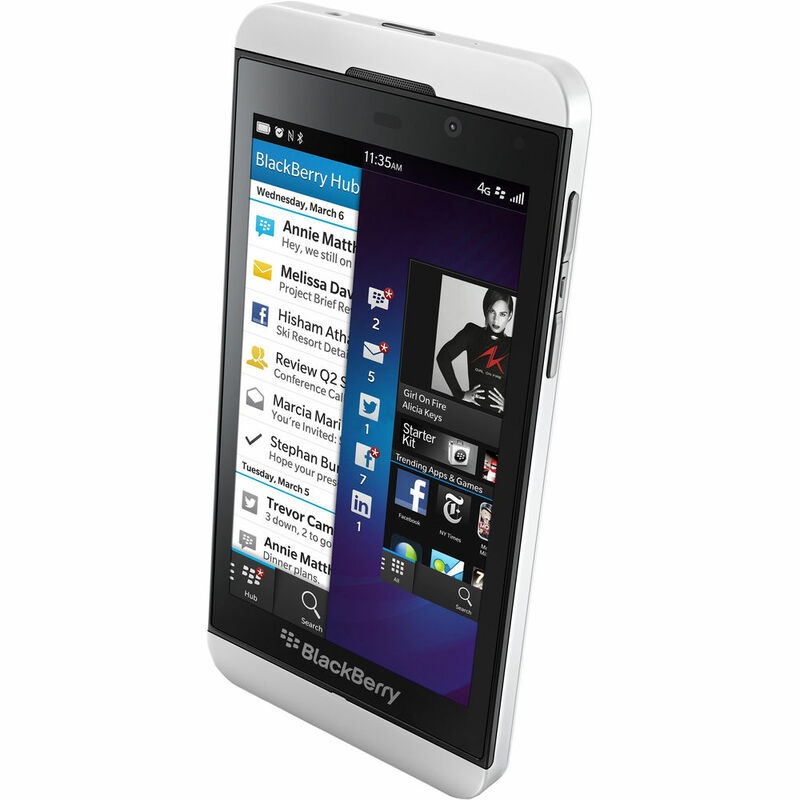 The new BlackBerry Z10 is a BlackBerry OS 10 based phone. It is designed to keep you ahead of the crowd. Here you can find that features and apps work together and you can share your thoughts to complete tasks without any hassles. It is powered by Dual Core 1.5 GHz Krait Processor. With the Qualcomm MSM8960 Snapdragon chipset you can enhance all the functionalities. You just need to peep into the BlackBerry Hub while you are busy with another app and keep track of the messages and alerts that are coming up. Stay in constant touch with your friends on Facebook, twitter or the BBM. It does not require you to turn off any of the work you are doing, neither your app nor your hub on the new BlackBerry Z10. 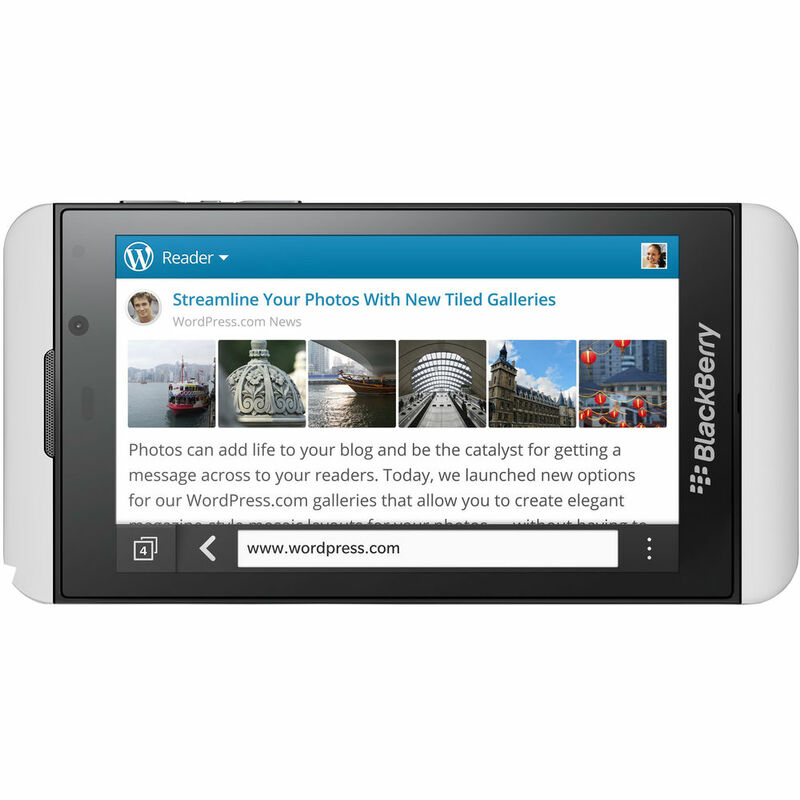 The all new Blackberry Z10 comes with an awesome keyboard that makes typing effortless for you. It keeps in mind your style of typing and keeps suggesting words while you are typing to make you put in less effort and more output. 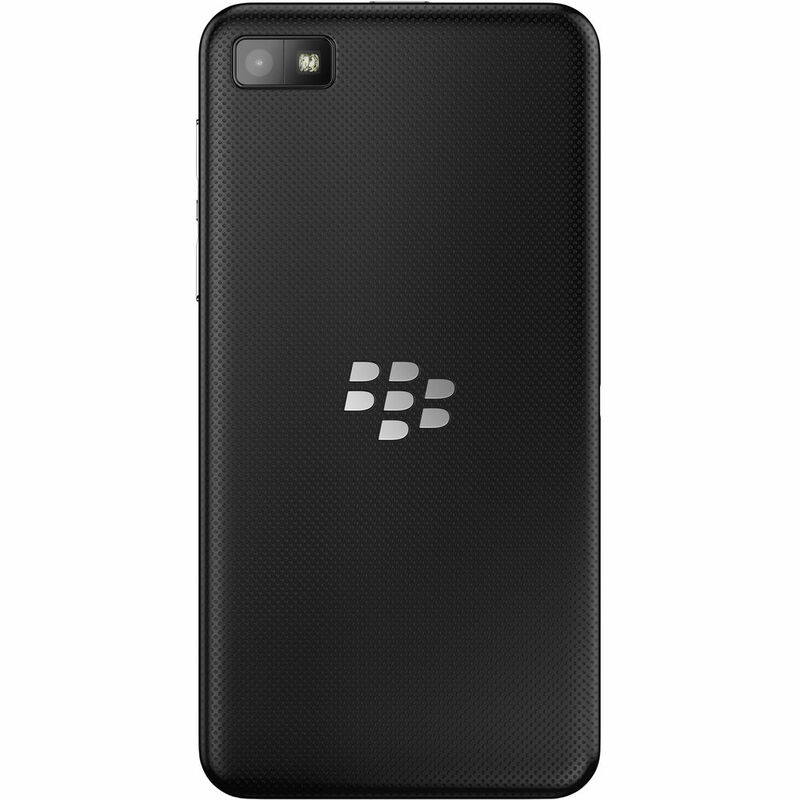 Instead of having a simple BBM chat, now you can have a BBM video chat face-to-face with your friends and family with as BlackBerry Z10 features a 2MP front camera. Screen Share feature allows you to share your pictures, business documents or an important mail with the another person by sharing your phone’s screen with them. Get picture perfect pics by pinpointing and adjusting the elements in your picture. The Time Shift Mode will capture images milliseconds before and after your pictures to get images with different emotions and expressions within seconds and then you can combine all to make a perfect picture. 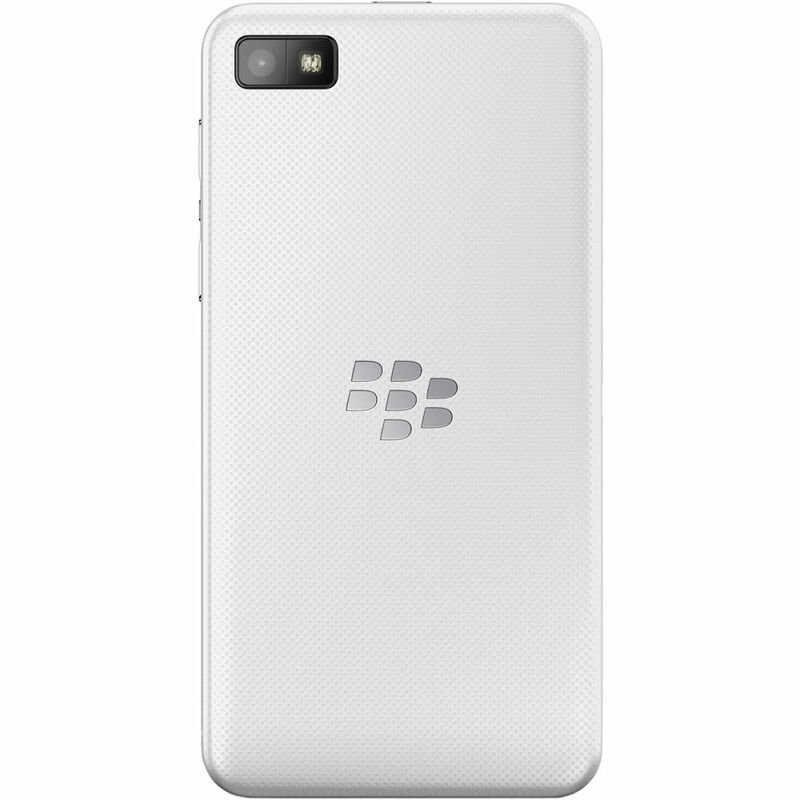 Experience the Joy of clicking with a high quality 8MP rear camera with an LED Flash on BlackBerry Z10. All work and no play makes Jack a dull boy! Our BlackBerry balance allows you to have both personal and professional information separate so that you can work whenever you want and play with your personal info during your leisure time. 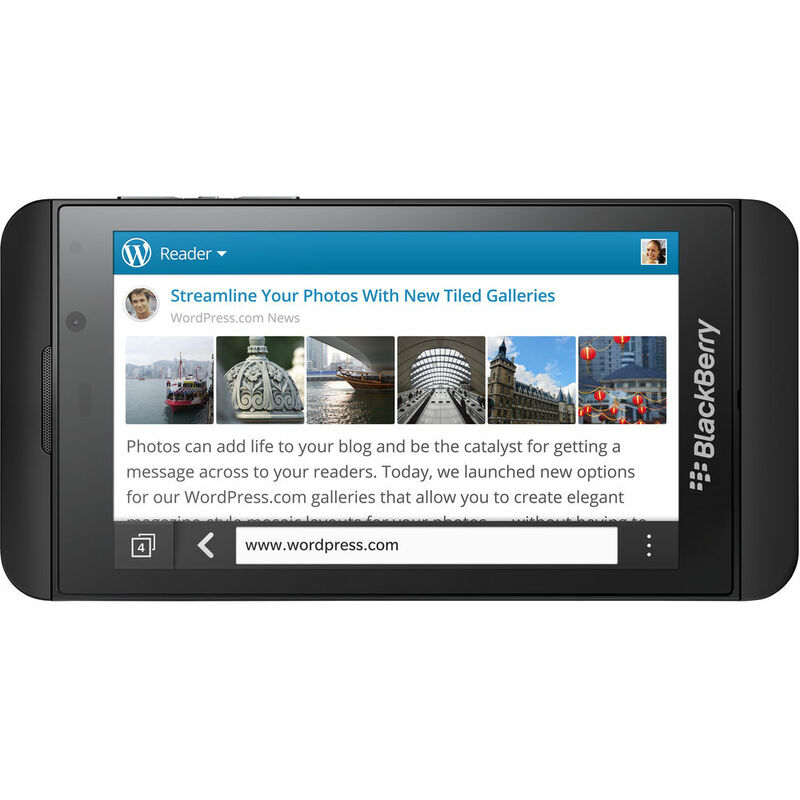 Browse the internet with super fast speed, simplicity and powerful page rendering with BlackBerry browser. Blackbery Z10 remembers how you like to share after you use the sharing option for a couple of times. So next time, you can browse and share your likes snappily. The voice control feature recognizes the natural speech patterns and gives you the freedom to raise your voice always! 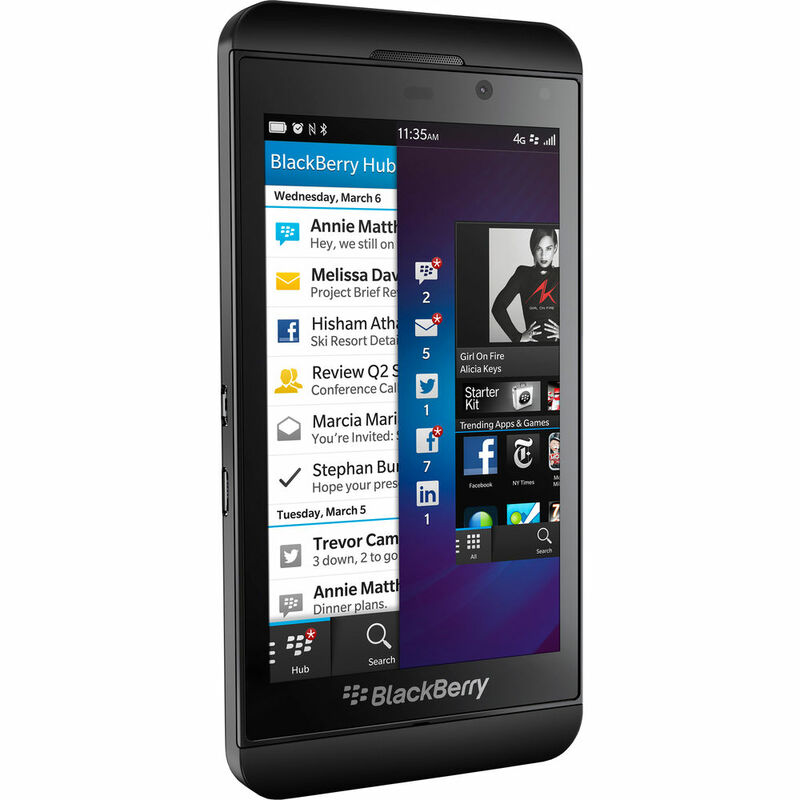 The all new BlackBerry Z10 allows you to send a BBM message, Facebook update, or schedule a meeting with a simple voice command from you. You can easily open up an app when your hands are busy so keep on doing all that you are doing with hands without interruption. This mobile sports an internal memory capacity of 16GB which you can expand upto 64GB. No stack all your favourite songs, movies, videos and pictures in the mobile. This mobile runs on a powerful 1800 mAh Li-Ion Battery that keeps you on as long as 10 hours. 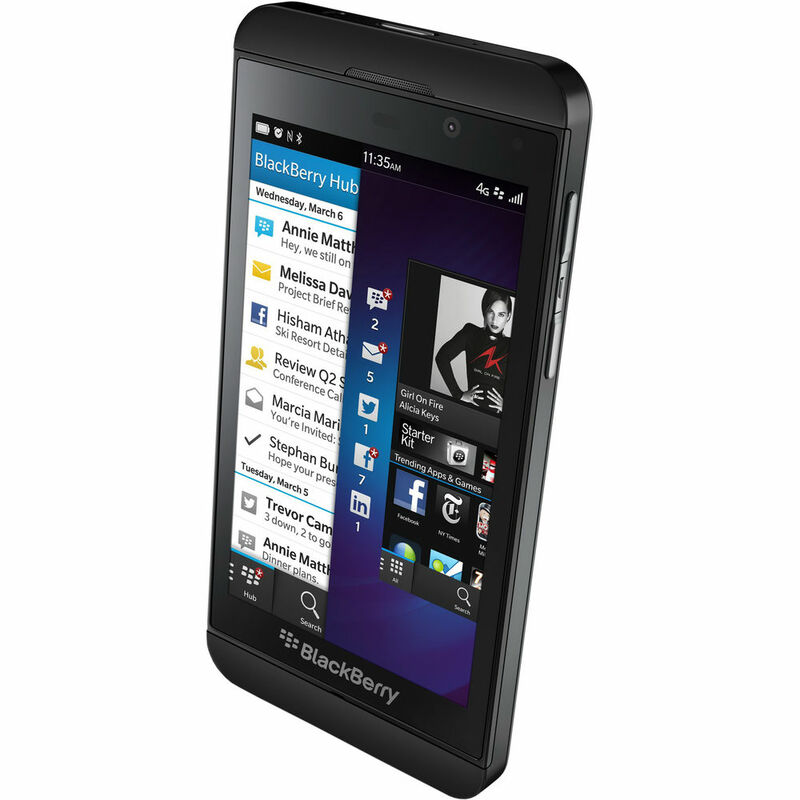 You can now buy the new BlacBerry Z10 online and avail great discounts. Fantastic User Interface with loads of features & a decent battery backup . The delivery was prompt too ! Good mobile at 16k. User friendly applications, speed, touch, data storage space and state of art software are pros while battery life is con. The phone's top and bottom border are senseless, instead they should provide full screen. Phone is thick, i prefer thin. Biggest disadvantage BB world have some basic apps missing, like facebook messanger which is effective disappointment for me. Good things are: Phones display and camera are epic, also Memory(RAM)is sufficient for gaming and all. Sounds are pretty good, you can feel small beats in the music, which you normally not feel in other cells. If you are an app lover and wants latest apps, also wants screen size enough large so that you can type easily in your phone then don't buy! If apps are not an issue for you and you want a phone for music and better connectivity, crisp display, camera then go for it. The blackberry z10 is a very good phone with awesome features for a very affordable price! This phone guarantees to get your everyday work like messaging, emails, phone calls, etc done. Apps are pretty much ok in the blackberry world and the android app support is pretty decent (many android apps is still not supported!). Phone's os is very decent and a good change from ios , android and windows. Battery life is good and gets me through a day (9~10) hours with quite frequent texting, Facebook, listening music and phone calls. Phone's does not hang as of now now and SD card doesn't clog up the phone's performance. Camera clarity is very good and takes some very good snaps! Phone's build is sturdy and fits your hands (and pocket) perfectly! This phone is a must buy for this price range (17k!) I would recommend this phone to anyone! Infibeam's delivery was prompt and packing was good! keep up the good work infibeam! Hi All Ordered The phone in black (as not available) got the white one which is equally good look and feel wise. Packaging :- Infibeam packaging was good and up to standard's. (though got the white one, the usb and wall charger were in black color "Strange"). Delivery :- Delivery of the item was with in 29 hrs from the confirmation of color from my end, hence happy with delivery time. Product Cons: 1) 10.2.1 update (290mb) was over in about 1 hr or so & the OS is very much fluid. 2) Blackberry world has lot of apps well charged apps are good & free to some extend are ok. 3) Gesture control are easy & once use to it you will do same in all other phone :) 4) Quick setting customization ( huge list of options, sure you can't remember everything). 5) Picture Password. Cons:- 1. Missing radio though alternative is to download online radio app (req data package). 2. Camera focus is bit annoying as mostly it appears shady if not clicked on time. Note: The model given is stl100-1 so no 4G. So far no issue faced. Verdict:- Overall the phone is good for browsing, music and if you are open to a whole new gesture exp. I orderd it on 11 Apr 2014 and I go it on 26th Apr 2014. Phone was in gud condition and working nice. No problem till date. I first time shoped from infibeam and i approve this for purchasing. I rated 4 star because at the time of purchasing it says available but it was backorder. Amazing service. Happy with the service and turn around time. Even customer support is very responsive. Thank you.